Eric joins Metropolis Capital Advisors with over 30 years of real estate capital markets and deal structuring experience, both as a principal and as an advisor, sourcing investment opportunities, raising debt & equity at both the asset and entity level, and structuring and executing portfolio and corporate M&A transactions. Eric’s role at MetCap will be to help clients access capital for their real estate investments with a primary focus on sourcing JV equity. Eric spent the last 5 years as President of Artery Capital Group, a family office making debt and JV equity investments in real estate. During this time, Eric helped set investment policy and helped invest and manage the family office’s capital. 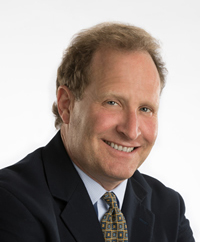 Prior to his time at Artery Capital Group, Eric was Managing Director in the Corporate Finance Group at Arthur Andersen LLP where he accessed equity capital, and executed M&A transactions, for real estate clients such as Intown Suites Hotel Company, TA Realty Associates, ING Real Estate, Resources for Senior Living, Taconic Investment Partners and Morningstar Mini-Storage.